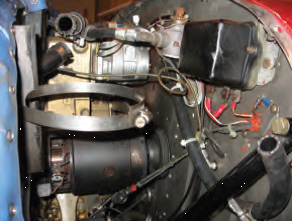 Modifications: Generator to Alternator Conversion | Tennessee Aircraft Services, Inc. I have discovered that very few aircraft owners have a basic understanding of their Cessna’s electrical system. This basic knowledge should start with the realization that every Cessna came from the factory with a built in standby electrical system in the form of the ship’s battery. As such, the battery’s care and feeding should be paramount in your preflight planning. This means the battery needs to be as close to fully charged as practical by the time the plane takes off, a difficult goal to achieve if the plane is still equipped with the original generator. Fortunately there are STC’d alternator kits for almost every model in the Cessna single engine fleet that was originally generator equipped. 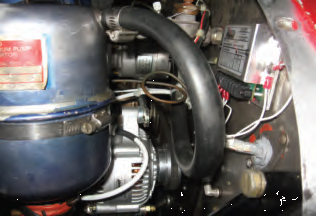 A generator only charges the electrical system when engine RPM is somewhere north of 1200. After a difficult winter engine start with a cold and less than ‘topped up’ battery, low RPM taxi time will cost more of the battery’s reserve. Additional power is consumed for a night departure with the extra current draw of the aircrafts’ lights. There will be little standby power available if the generator system fails shortly after take off. 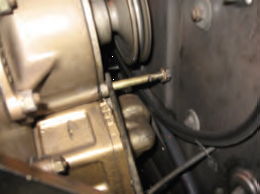 By contrast, an alternator system is often capable of providing near full recharge current to the battery at engine idle speeds. A 60 ampere alternator could supply needed aircraft systems while recharging the backup system prior to take off. Prompt recognition of a charging system failure followed by appropriate load shedding could easily allow the backup system to give a solid 30 minutes of power to get the plane, and you, safely to an airport. Recently, we discovered a customers’ older 182 had a good bit of battery acid induced corrosion on the belly in trail of the battery box vents. Some investigation revealed very worn voltage regulator points intermittently sticking together causing higher than normal electrical buss voltages. The subsequent overcharging of the battery caused it to gas out sulfuric acid on the planes underside. The generator was in pretty bad shape as well with excessively worn brushes and commutator. Due to frequent IFR flying, the customer opted to spend some extra bucks and move into a new alternator system. View of original generator and regulator after the air/oil separator has been removed. 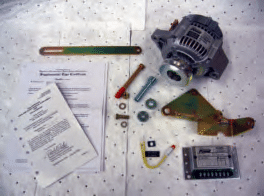 Plane Power Alternator conversion kit inventory. The alternator conversion kit chosen was from Plane Power. It arrived with all the proper STC paperwork, installation instructions, alternator, mounting brackets, regulator, alternator inoperative lamp, a couple of placards, and Instructions for Continued Airworthiness. All the components appear to be of excellent quality and the instructions straight forward. At first glance I thought swapping out the generator for an alternator and changing the voltage regulator would be all there was to it. Surely just a few hours and we’ll be on our way. There may be some planes out there that an alternator conversion would be so easy, but those planes don’t come to my shop. 1. Air-oil separator blocking access to the generator/alternator. Added time to remove and reinstall the separator with associated hoses. 2. A ground strap that must be relocated after the new alternator mount is installed. 3. The prop control cable crosses through the middle of the new alternator mount bracket and some relocation of the cable is required. 4. The new adjustment arm brace for alternator belt tension setting is thicker than the original and a longer pivot bolt is needed. This is a course thread bolt that screws into the crankcase. 5. The original electrical system does not have a split battery/alternator switch and the new regulator needs an independent 5 amp supply. 6. The new alternators’ capacity exceeds the original aircraft system design so a new and larger circuit breaker is needed. The 70 ampere maximum means some new larger wires should be installed. 7. The new regulator does not fi t the old mounting hole pattern so an extra hole is drilled in the firewall. 8. The alternator inoperative light needs a place in the instrument panel and a circuit protector in line. Original bolt that holds the tension arm for the generator will not come out unless the engine moved. We cut off the arm and left the stub as a spacer. Obstacle may be too strong a word for these items. It’s really a listing of a few things that my simple mind did not plan for at the beginning of this little project. The Plane Power alternator system is a wonderfully simple kit for installation on a hugely varied fleet. It is not practical to expect detailed instructions for every conceivable aircraft variation and a few minor creative field adjustments should be expected. Any mechanic willing to tackle this installation should be able to make the necessary adjustments and complete a proper installation. I mentioned earlier that prompt recognition of a charging system failure is important to maximizing usable time of the back up system. The Plane Power kit includes an optional “Alternator Out” lamp feature that is an absolute must. Mount it somewhere in the pilot’s primary scan for best visibility. The age, condition, and size of the old original wiring in the plane should be considered. This may be the opportune time to replace some of the primary electrical system wires. At least look at installing new terminal ends on the old wires to eliminate the high resistance connections that give so many problems over the years. That relatively inexpensive master switch is probably original and just about ‘shot’, so replace it too. Finished installation with the air/oil separator reinstalled. Any owner of a generator supplied airplane fl ying IFR, or at night, or both, should definitely consider converting to an alternator. Having an extra few minutes of battery power could easily be the difference between a relatively uneventful flight and a very dark, stress filled approach.